KayKiSpeaks.com: Morning Coffee: Do You Believe in Love after Love?? 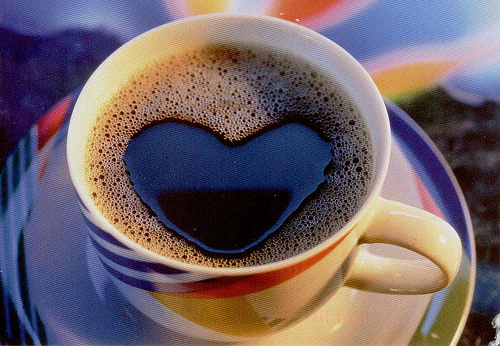 Morning Coffee: Do You Believe in Love after Love?? & Im interested in knowing how some folks feel about it. She simply asks, "Do you believe in love after love?". Ive listened, sang, and danced to this song a billion times, but this time I really stopped to ask myself the question & I tweeted it for my tweeties to reply as well. Its a very profound question I think, being that love is such a Divine topic. My answer.. Im hoping to believe in love after love. I have been in love before, and by all means Id say Im still in it somewhere. Id like to think that since Im not with the man I love, that Id at least one day.. some day be able to share the same truth for someone else. Great question to ask yourself, if youve really been in love before. Can it ..the magnitude of it.. happen again, with someone else? Do you believe in love after love?